Home › Biggest construction exhibition of the year will start on Monday! 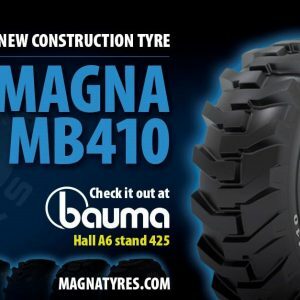 Biggest construction exhibition of the year will start on Monday! Magna Tyres Group will be part of Bauma 2019 - the world's largest Construction exhibition which starts on Monday, in Messe - Munich. During this exciting week of networking, innovation and new business opportunities we will have something extra special in store for you. 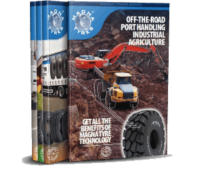 This week will be especially memorable that to the world premiere of our new Construction tyre range. 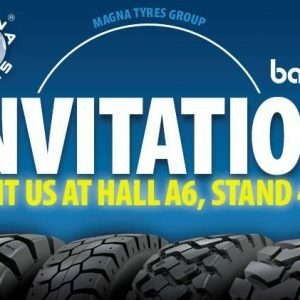 So if you don't want to miss that you van visit us at HALL A6 - STAND 425. 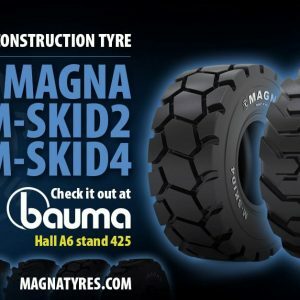 We would like to invite you to visit our stand 425 in hall A6 on 09/04/2019 [16:00] and experience the official launch of our Construction range. 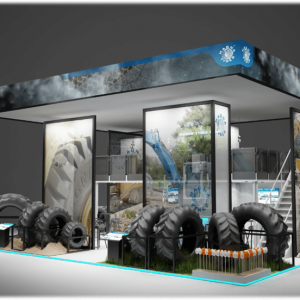 So clear out your schedule for the Bauma 2019 and be sure to come and visit our extra-large, two story stand. Our sales managers will be present and able to provide you with all the information you need on Magna’s premium quality tyre solutions and all the latest innovative developments within the Magna Tyres Group.